Abba Seraphim is currently in south-eastern Turkey on pilgrimage to various historic centres of Christianity, along with Bishop Christopher of Southwark and other pilgrims. 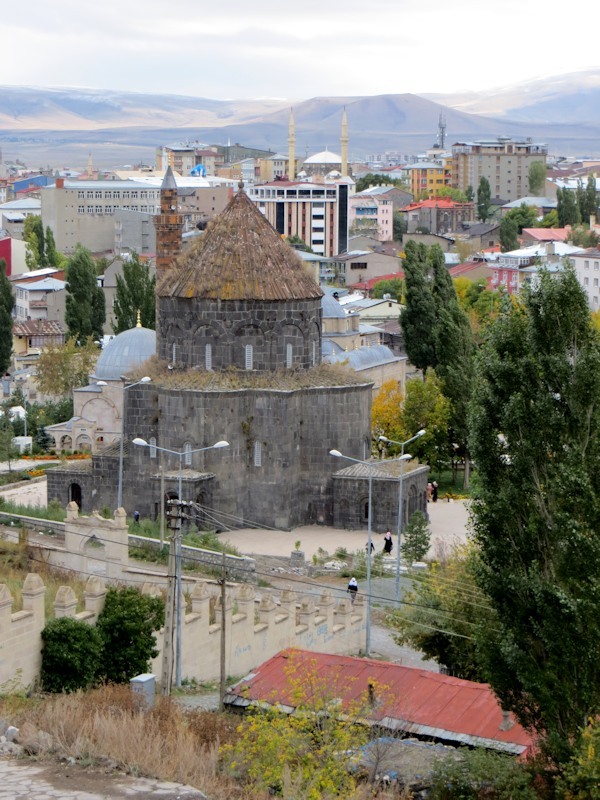 On 5 October they travelled from Erzerum to Kars, where they visited the former Armenian Cathedral of the Holy Apostles, which had been built in the tenth century by the Armenian Bagratid King Abas. During the frequent changes of political rule, as Kars fell to different invaders, the church was used as a mosque and later restored to Christian use. In the nineteenth century when Kars came under Russia, it was even converted into. Russian Orthodox Church and a stone ikonostasis erected. It is now, once again, a mosque but the external carvings of images of the apostles and finely incised crosses are still very evident. Sadly the crosses on the ikonostasis inside have all been vandalised. They also visited another, purpose-built Russian church in the city, which is also a mosque. It’s once impressive tower and dome have been removed but it’s distinctive architecture, along with many of the Russian style houses and street plan in this part of Kars are poignant reminders of another age.